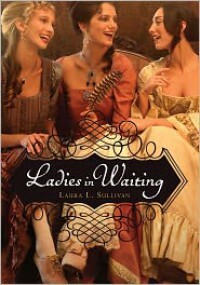 I really wanted to love Ladies in Waiting will all my heart and I tried so hard! But I'm sad to say I never got there. The summary sounds epic to me, I mean ENGLISH ROYALTY and young ladies in waiting and intrigue and GAH, just all of it! And one of them trying to break the confinements of her gender in this particular time. There was SO MUCH there for me to possibly love, it's not even funny. Forbidden love and everything. All those things that make me a happy reader if done well. But it didn't turn out the way I would have thought. It started out incredibly well and after the first two or three chapters it all went downhill for me. First we are introduced to the characters and in a way that had me thinking we would be reading about them from their altnernating point of view. But instead the point of view was never very clear and switched and was just a little all over the place. I really liked Eliza, and at times I also liked Zabby. I just never really felt anything for Beth accept annoyance. I mean, I don't know if she was meant to be a parody of something, but she came across as if she could be. I was questioning her sanity pretty early on and nothing that she did after made me reconsider said questioning. 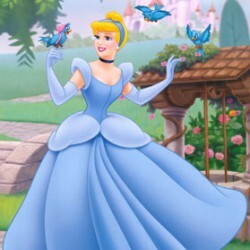 She was delusional and I was gaping at her stupidity in her 'love' for her childhood 'sweetheart'. And gah, I just wanted to slap her! And Zabby too. I mean, at one point she overhears a plot threathening the queen's life and goes, well, he probably didn't mean that and it's more convenient to believe people just don't do bad things to eachother at court. Or something very close to it. She's supposed to be a scientist and knows all these things and in this she was just a stupid girl and it annoyed me very much. Also, I never really got her love for Charles. Maybe because we don't see a whole lot of them together, but I didn't get what was so special about him. I mean, he's the king, but that's not a reason to love somebody. I definitely did not like the way he treated his wife, but well, that's probably historically accurate, sadly. I did however love Eliza. She's free spirited and knows what she wants and isn't afraid to risk everything to get it. And I respect that. She was the one bright point in Ladies in Waiting and I wished she would have gotten a bit more time to shine, because I adored her. The plot seemed to crawl along at a snail's pace and then the book just ended. I mean, I felt a bit cheated by the end. Things happen, some awful, some I cheered at, but it just ended there. And I felt that everything I'd worked on by reading the whole thing was somehow just swiped off the table and I'm left without any closure. This book and I had a difficult relationship and I would have like to have parted on a good note, but the ending just didn't accomplish this for me. Also, with all the debauchery and everything going, I'm a bit hesitant about this being marketed as YA, if it can be classified as such, it should in my opinion be more the older teen because there are a lot of sexual references. All in all, I struggled my way through this book and then I didn't even get my closure at the ending. It had a definite subdued feel to it that was only lifted by the moments in which Eliza was allowed to shine, she was the redeeming factor in Ladies in Waiting!